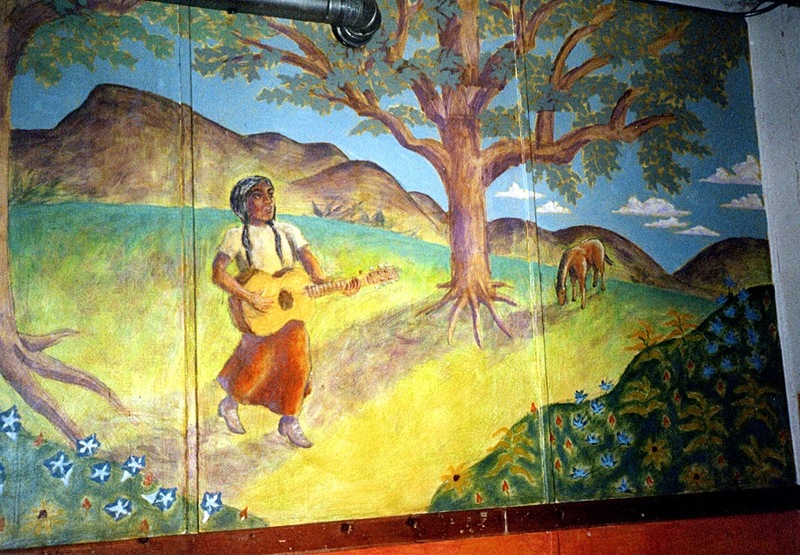 In 1995 I began providing mural-painting services for the Bueno y Sano family of healthy burrito restaurants. 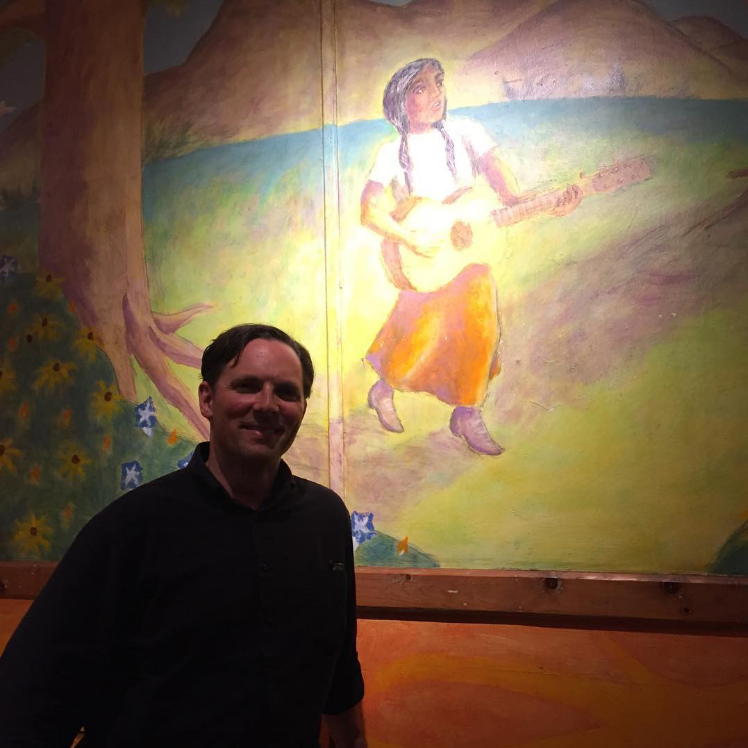 I painted all of the interior walls of the flagship Amherst, Massachusetts store. 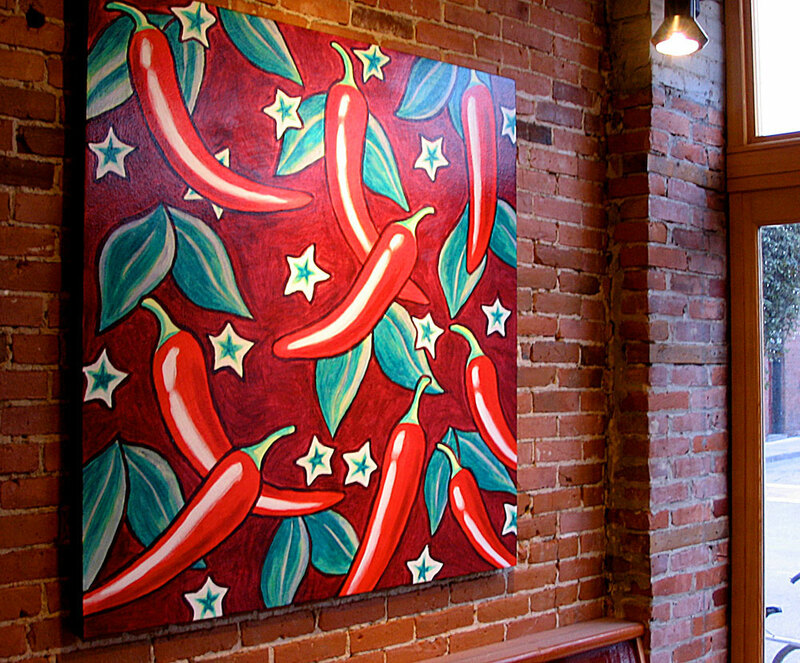 Finally, I was invited to create the interior décor for the restaurant in Burlington, Vermont, which opened in 2007. In each case, I tried to capture a bit of the essence of the town, and represent it in a “whimsical” and upbeat style. Additionally, I created imagery that harmonized with the food philosophy of the restaurants: healthy, fresh, California-style burrito cuisine. Consequently, I have painted many peppers, onions, eggplants, squashes, and the like. 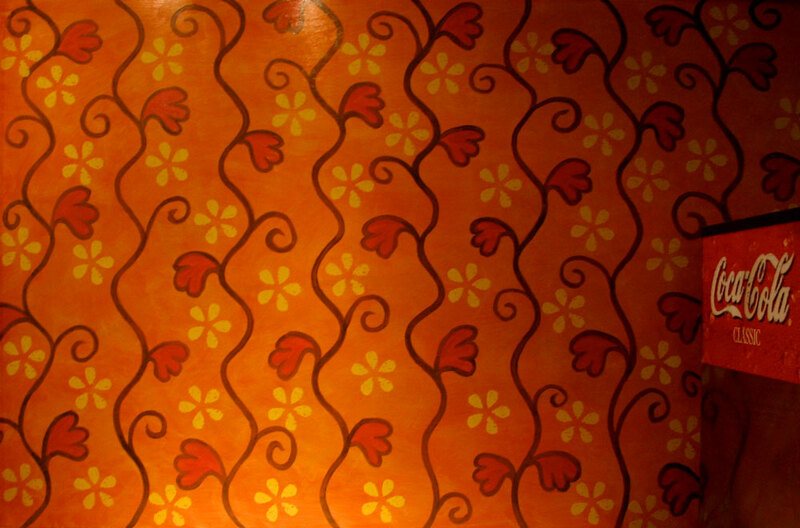 Lastly, my signature “orange swirly” pattern has been a constant, unifying link appearing in all the stores. Recently the Northampton store renovated, and erased the funky pattern in favor of a more clean, contemporary look. 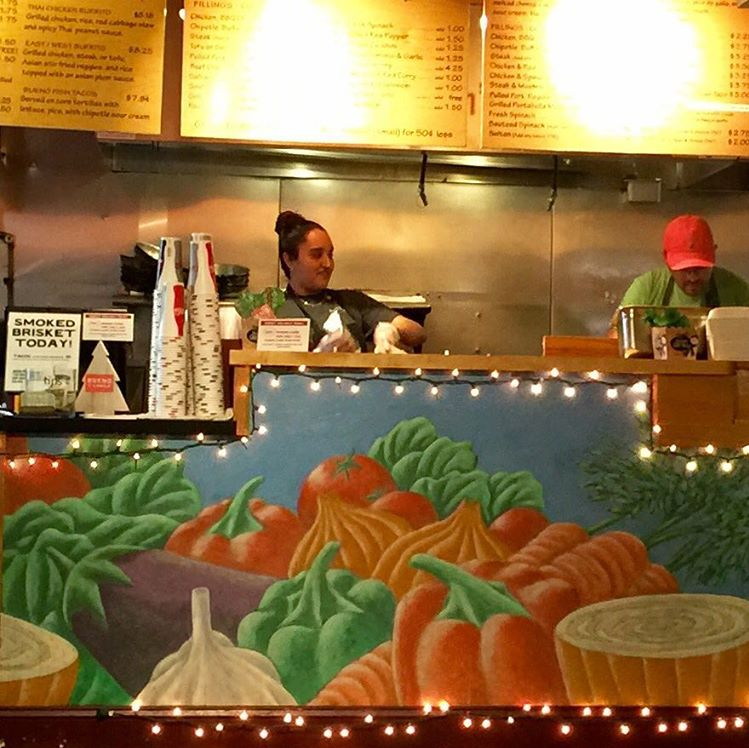 My fresh veggies mural has held up well over the years.